Added some tow mirrors. Shoutout to pgamboa for the custom DIY harness to get the turn signals on my new tow mirrors working. Now I need to find a black grille. I had Goodyear Wrangler Duratracs on my last truck which was a dually, and they where not as loud as the Trail Grapplers are. All though my trail grapplers are larger than those Duratracs where. But the Duratracs where great aggressive tires as well. They are great tires and I do not regret choosing them. Just as with any aggressive MT tire you can definitely hear them on the road, but it’s not that bad in my opinion. I do mostly highway driving (60-80 mph) daily, and I never think about the tire hum being annoying. If it helps any, I’m running a 2.5” Rough Country lift with 295/70 R17 Nitto Trail Grappler MT’s (+0 offset). Rubs the rear wheel liner a little at full lock, but the liner can be trimmed or zip tied back to easily stop the rub. I’m extremely happy with this set up. 2.5” Rough Country leveling lift 17x9 XD Misfit (0 offset) 295/70R17 Nitto Trail Grappler MT’s Rubs just a little on the back wheel well liner at full lock. A little minor trimming could easily fix that. 2.5” lift was easy to install myself at the house. I highly recommend this setup to anyone looking for a small lift. No regrets. Awesome, that’s about what I am looking for as far as how far it sticks out. Thanks for the help! Thanks for sharing your setup. Are the tires flush with the upper part of your wheel wells or does it stick out a little? Ya I am not a big fan of those cheap tires either, definitely planning on running some Nitto’s. Thanks for the input, Could you share a pic of your truck? Did you do any trimming or have any rubbing? I’m leaning more towards a 18”. 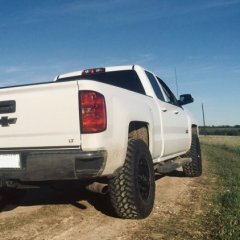 Can anybody share some recommendations or wheel/tire setups to run with a 2.5” Rough country leveling lift? I am going crazy trying to figure out a setup I can run without rubbing or trimming much. Would like a slightly aggressive stance, no more than 1” outside the wheel well. 2019 Chevy Silverado LT Trail Boss. Full reveal coming in January. Any Spy pics of the new medium duty? No it's not. It's the cab from the 15+ HD trucks. 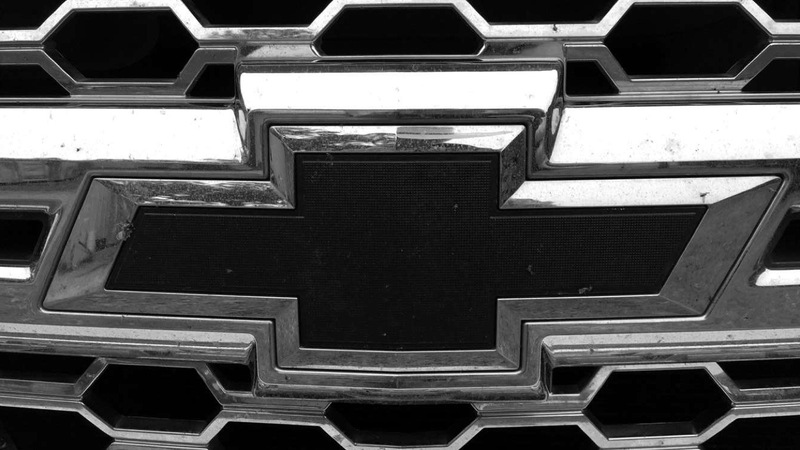 It would make no sense for GM to start remaking that old cab after they stopped production, especially when they are making the 2015+ cabs. 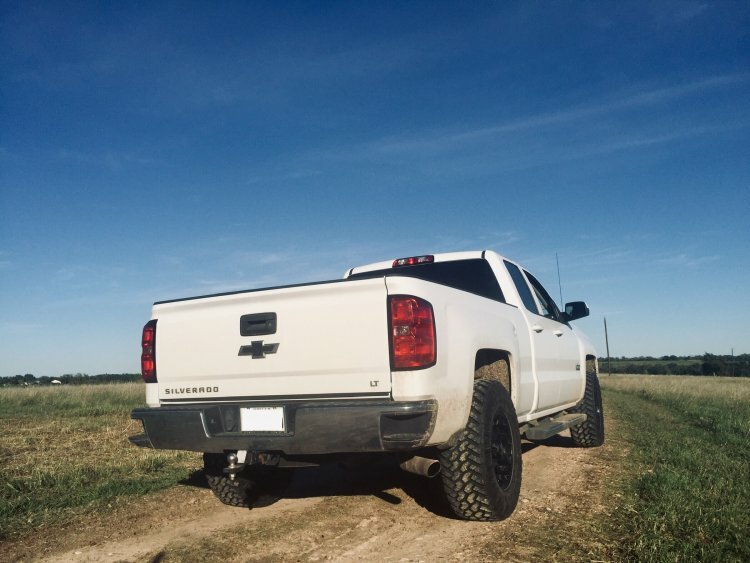 15+ Regular cab 2500: https://edmunds.images.dmotorworks.com/DIRDE011/171260_1_large.jpg 2013 Chevy 2500 regular cab: https://s1.cdn.autoevolution.com/images/gallery/CHEVROLET-Silverado-2500HD-Regular-Cab-3936_15.jpg The new Medium Duty truck clearly is using the 15+ HD cab. Further evidence of this is the shape of the base of the side mirror where it bolts to the truck, as well as the rocker panel and crease on the lower part of the door. That is a 2017 Silverado/Sierra HD cab. I would say without hesitation, that the 2017 Silverado HD cab as seen in the picture will be what makes it to production. Ford uses their old Super duty cab on their new trucks, and GM will be using their current HD truck cabs on their new trucks. That's the plan, I always changed my own oil on past trucks. The only real reasons I changed my oil at the dealer was first because of the free oil changes, then because I needed my tires balanced almost every oil change because I had bad tires from the factory and it took me like a year of complaining and bitching to finally get them to put new tires on my truck. What kind of oil are you running? Mobil1? 0w-20?